Maria Tymoczko is Professor of Comparative Literature at the University of Massachusetts Amherst. Her research and publications have earned her an international reputation in three fields: Translation Studies; Celtic medieval literature; and Irish Studies, with a specialty in literature in both Irish and English, including James Joyce. She is one of the leading theorists in Translation Studies, setting new directions for the field. Her critical studies The Irish “Ulysses” (University of California Press, 1994) and Translation in a Postcolonial Context (St. Jerome Publishing, 1999) both won prizes and commendations, the former as co-winner of the 1995 Book Award for Literary and Cultural Criticism from the American Conference for Irish Studies and the latter receiving the Michael J. Durkan Prize for the best book published in Irish language and cultural studies from the American Conference for Irish Studies and selected by Choice magazine as one of the most important books published in 2000. Professor Tymoczko has edited several volumes including Born into a World at War (with Nancy Blackmun, 2000), Translation and Power (with Edwin Gentzler, 2002), Language and Tradition in Ireland (with Colin Ireland, 2003), Language and Identity in Twentieth-Century Irish Culture (with Colin Ireland, 2003; special issue of Éire-Ireland), Translation as Resistance (2006, special section in the Massachusetts Review), Translation, Resistance, Activism (2010), and Translators Writing, Writing Translators (with Françoise Massardier-Kenney and Brian Baer, 2016). Her most recent full-length studies are Enlarging Translation, Empowering Translators (St. Jerome Publishing, 2007), a major reconceptualization of translation theory, and Neuroscience, Translation, and Cross-Cultural Communication (forthcoming). 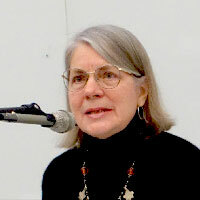 Articles by Professor Tymoczko have appeared in the major journals in her fields including Target, The Translator, Babel, Meta, TTR, Éire-Ireland, Studia Celtica, Irish University Review, James Joyce Quarterly, Yeats Annual, Studia Celtica, and Comparative Literature, as well as Harvard Magazine, among others. She has contributed chapters to many anthologies including recently Medieval Irish Perspectives on Cultural Memory (2014), The Known Unknowns of Translation Studies (2014), Literary Translation: Redrawing the Boundaries (2014), and Thinking Through Translation with Metaphors (2010), as well as classics such as Crosscultural Transgressions: Research Models in Translation Studies (2002) and The Manipulation of Literature (1985). Her major translations of early Irish literature are published in Two Death Tales from the Ulster Cycle (Dolmen Press, 1981). Professor Tymoczko has held grants from the Fulbright Foundation, the National Endowment for the Humanities, and the American Council for Learned Societies; she is a Conti Fellow at the University of Massachusetts. She has served as president of the Celtic Studies Association of North America and as a member of the Executive Committee of the American Conference for Irish Studies. Maria Tymoczko has been the principal lecturer and Professor for the major international translation studies summer schools including CETRA (2003), TRSS-U.K. (2004), Nida Summer School (2010), and TRSS-Hong Kong (2013). She has lectured in many countries of the world including China, Japan, Malaysia, and India, as well as countries throughout Europe and the Americas. Trained as a medievalist, Professor Tymoczko teaches a wide variety of subjects including translation theory and practice, postcolonial literature, modern novel, global modernism, fantasy literature, medieval literature, and early Irish language and literature.